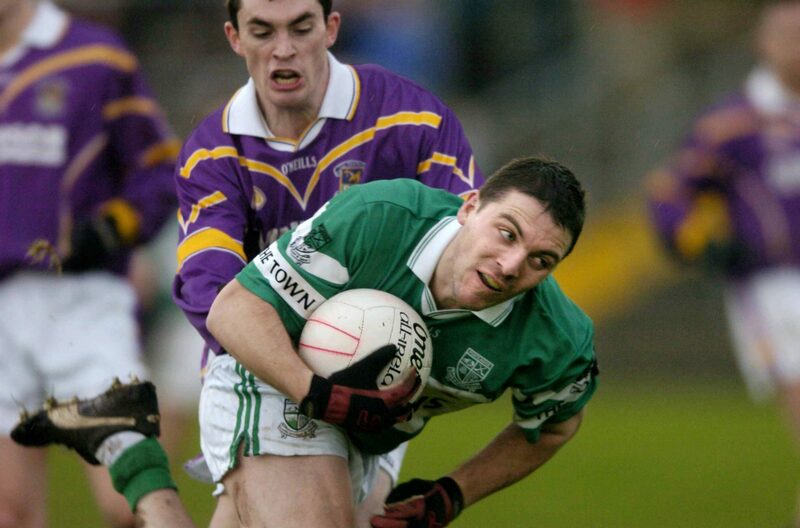 14 years ago, Portlaoise faced Kilmacud Crokes in the Leinster Semi Final – the exact same stage that the pair will clash this year. The match was played in front of a big crowd in Dr. Cullen Park, Carlow and despite a slow start, Portlaoise got on top of the Dublin champions before half time and went on to win by six in the end. 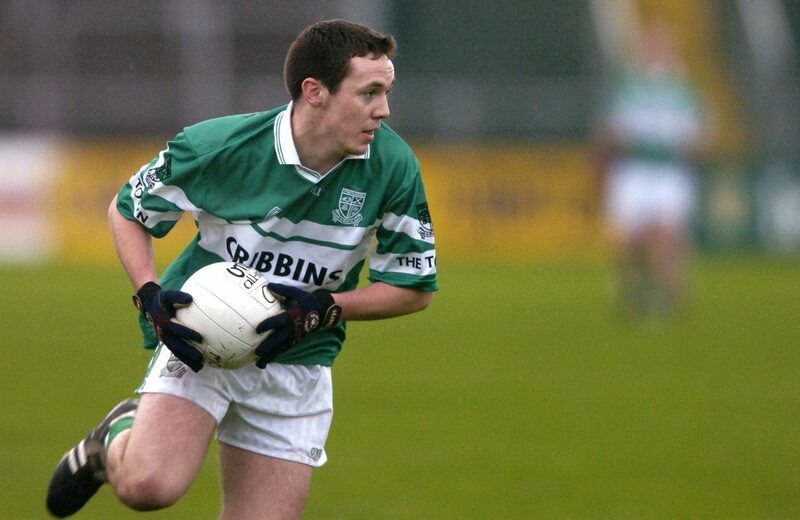 And although this game was played so long ago, there are still three links from that winning Portlaoise team to the one that will line out on Sunday – Craig Rogers, Brian McCormack and Cahir Healy. 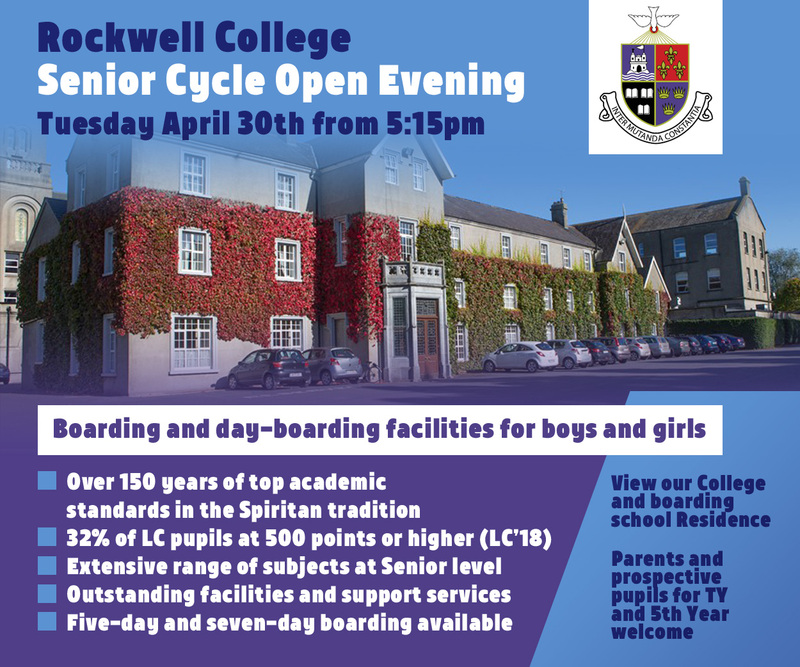 While the Kilmacud Crokes team will be completely changed on Sunday from this one that played that day – although they did have a Laois link as St Joseph’s keeper Daniel Nelligan was in the goals for them. 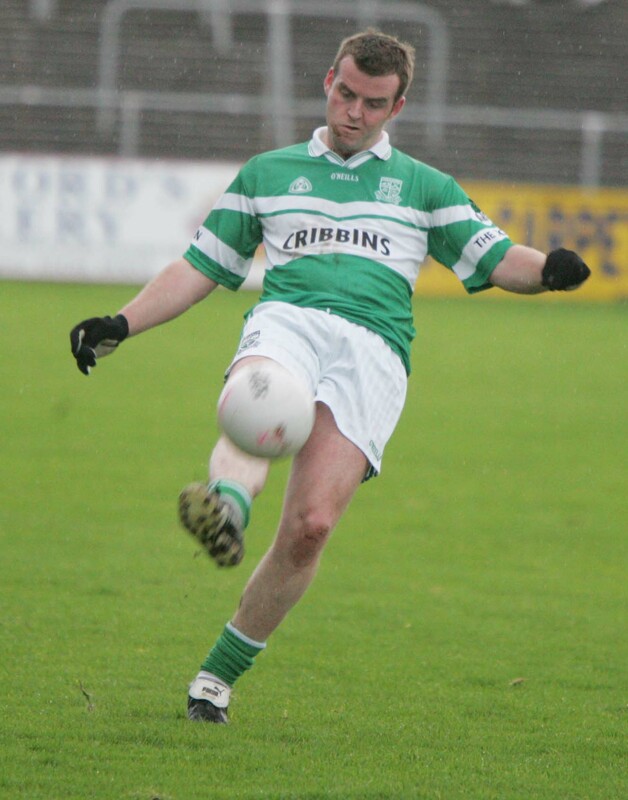 Enda Coleman got the scoring underway for Portlaoise with a point after 30 seconds. 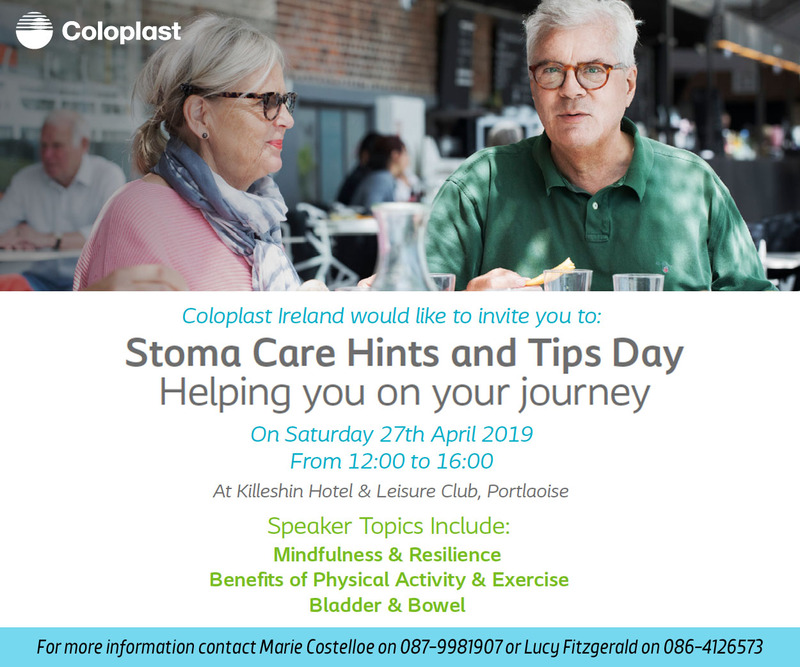 Portlaoise then went through a tough spell in the game with Kilmacud having their period of dominance racking up five points on the scoreboard and Portlaoise only getting a point in between those scores. 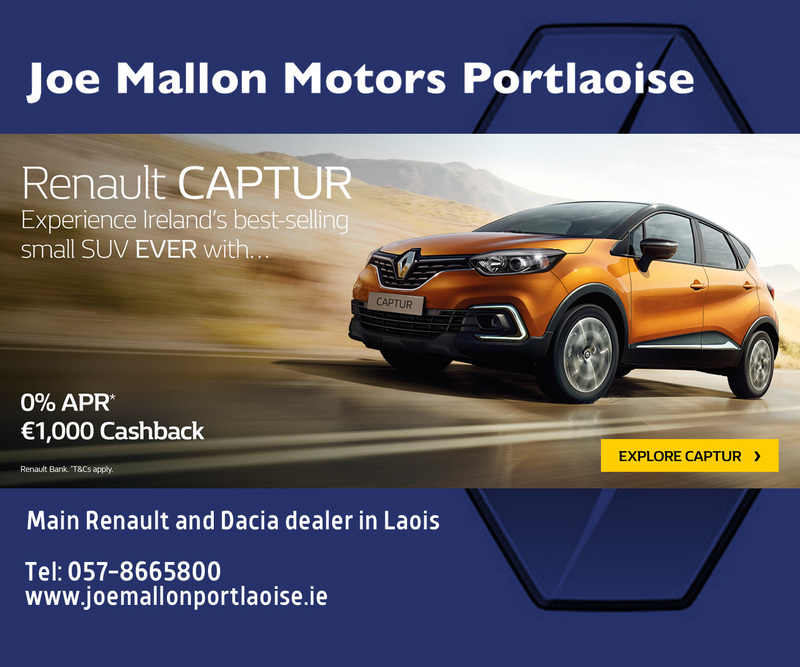 The winning of the game for Portlaoise came in a fantastic five minute period before half time when the score went from 0-5 to 0-2 in favour of Kilmacud to 0-7 to 0-5 in favour of Portlaoise with a brilliant turnaround of five unanswered points. After half time Portlaoise really kicked on and showed their class throughout the second half. 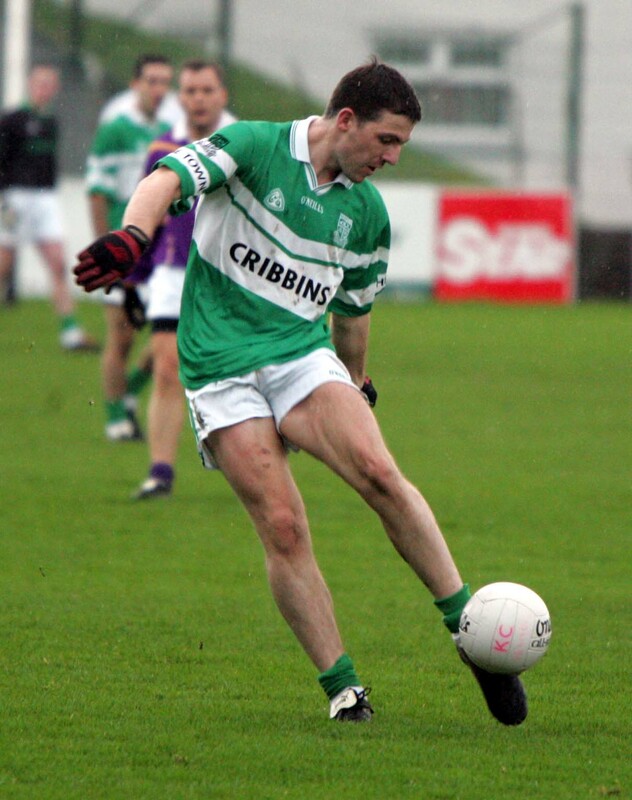 Portlaoise outscored Kilmacud by seven points to three in the second half with man of the match type performances from Ian Fitzgerald, Peter McNulty (RIP), Brian McCormack and Colm Parkinson. 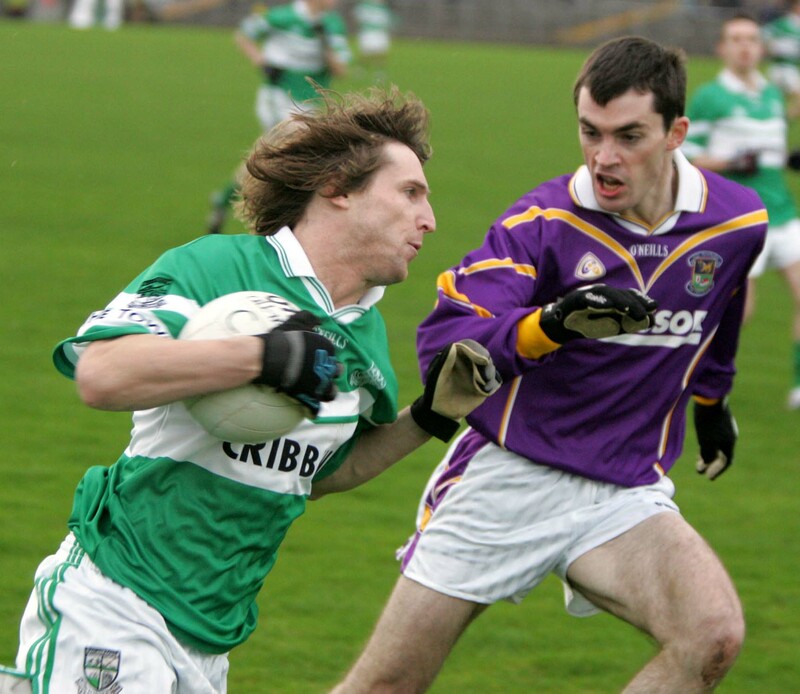 Portlaoise showed on the day that they were the better footballers and the stronger of the teams winning out in the end 0-14 to 0-8. 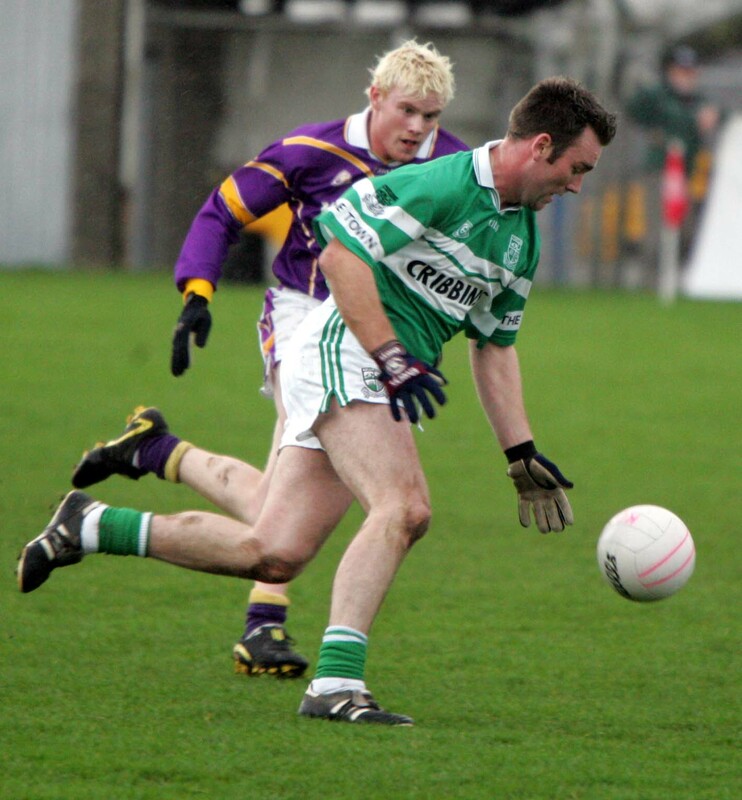 Both teams are set to battle it out on the same stage this weekend with Portlaoise hoping for a similar outcome. 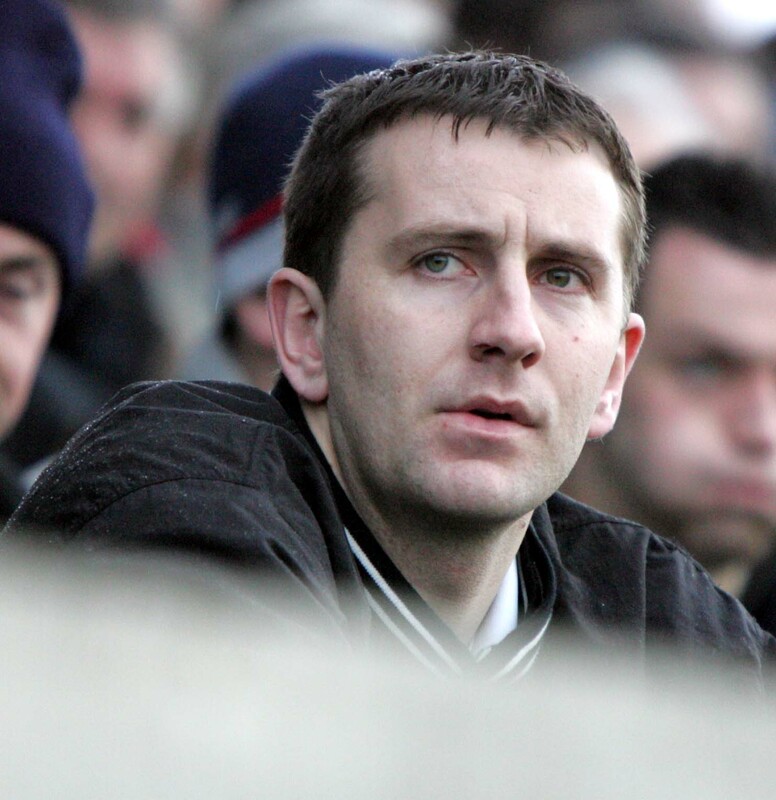 21 November 2004; Brian McCormack, Portlaoise. 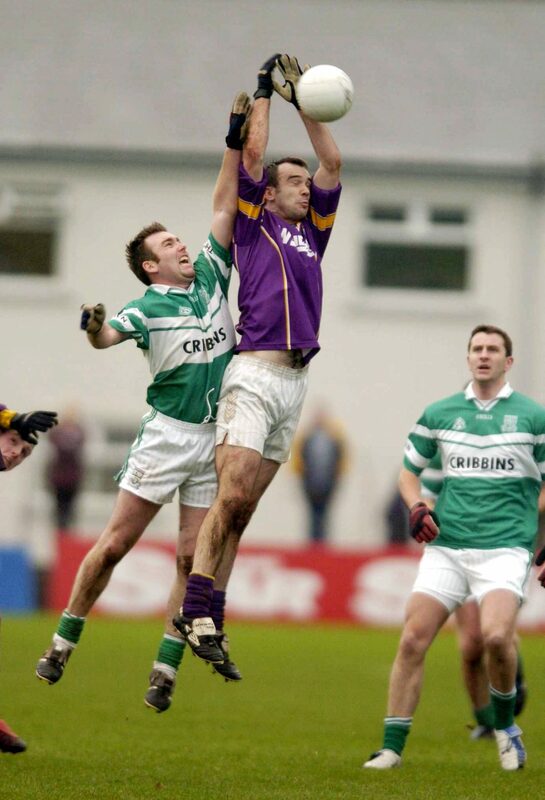 AIB Leinster Senior Football Championship Semi-Final, Portlaoise v Kilmacud Crokes, Dr. Cullen Park, Portlaoise, Co. Laois. 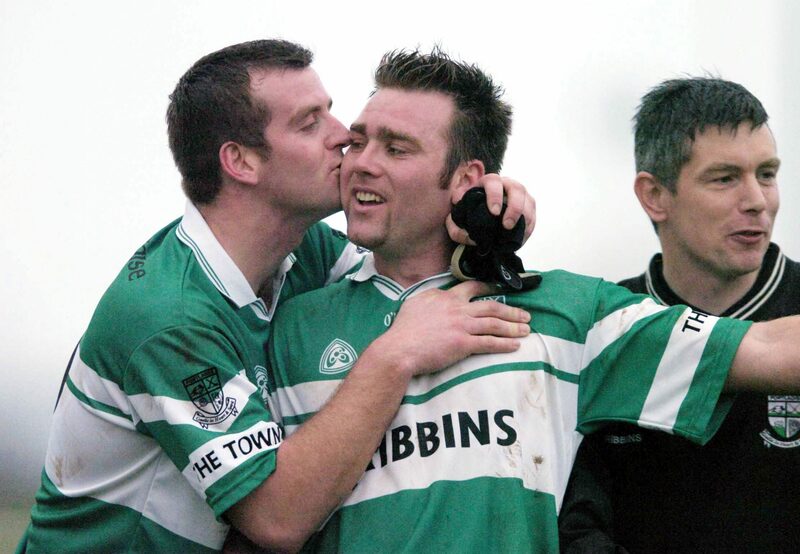 21 November 2004; Craig Rogers, Portlaoise, celebrates after the final whistle. 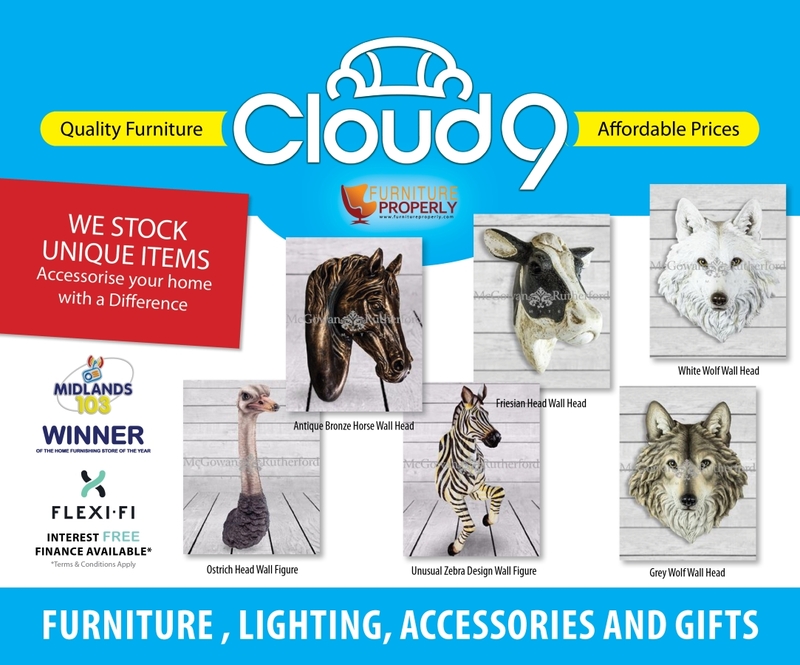 AIB Leinster Club Senior Football Championship Semi-Final, Portlaoise v Kilmacud Crokes, Dr. Cullen Park, Portlaoise, Co. Laois. 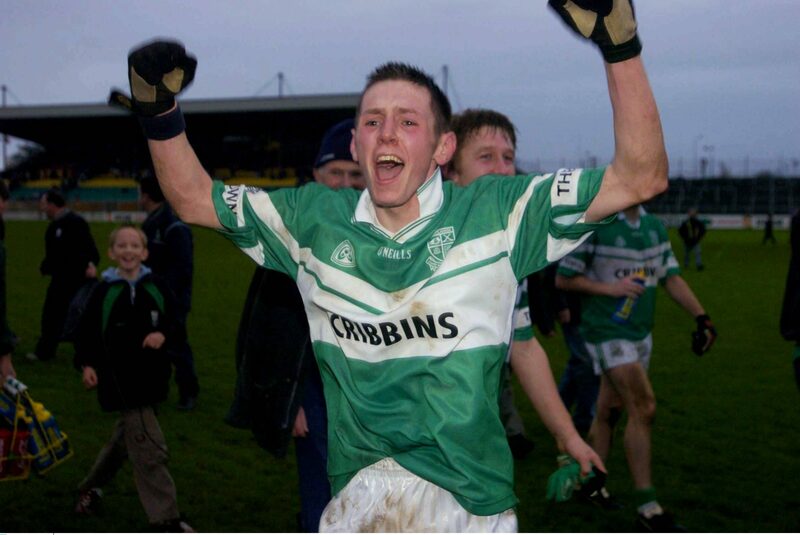 21 November 2004; Martin Delaney, Portlaoise, celebrates after the win against Kilmacud Crokes. AIB Leinster Club Senior Football Championship Semi-Final, Portlaoise v Kilmacud Crokes, Dr. Cullen Park, Portlaoise, Co. Laois. 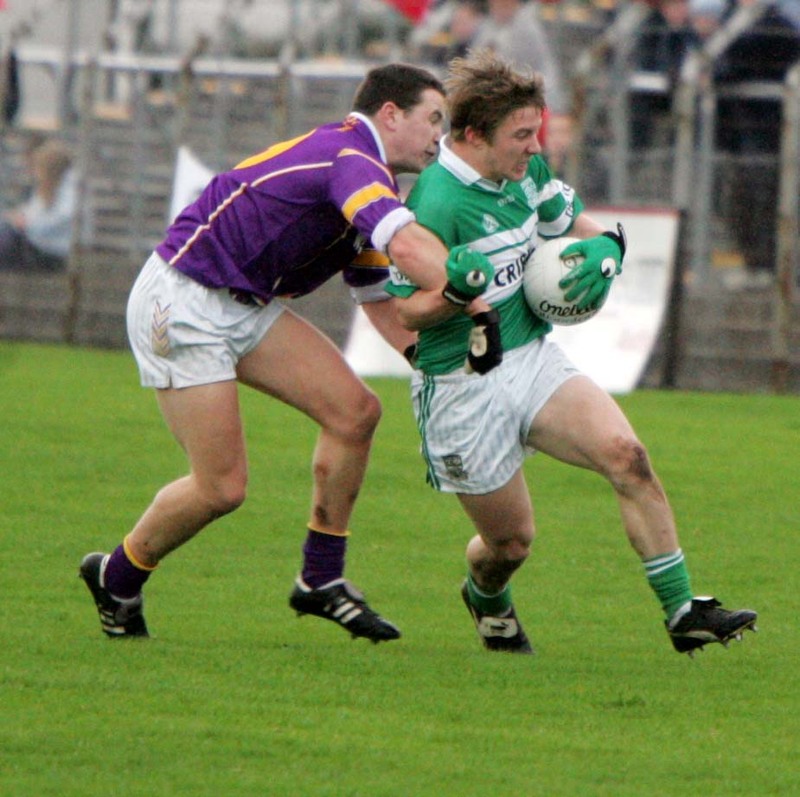 21 November 2004; Ian Fitzgerald, Portlaoise, is tackled by Colm Flannagan, Kilmacud Crokes. AIB Leinster Club Senior Football Championship Semi-Final, Portlaoise v Kilmacud Crokes, Dr. Cullen Park, Portlaoise, Co. Laois. 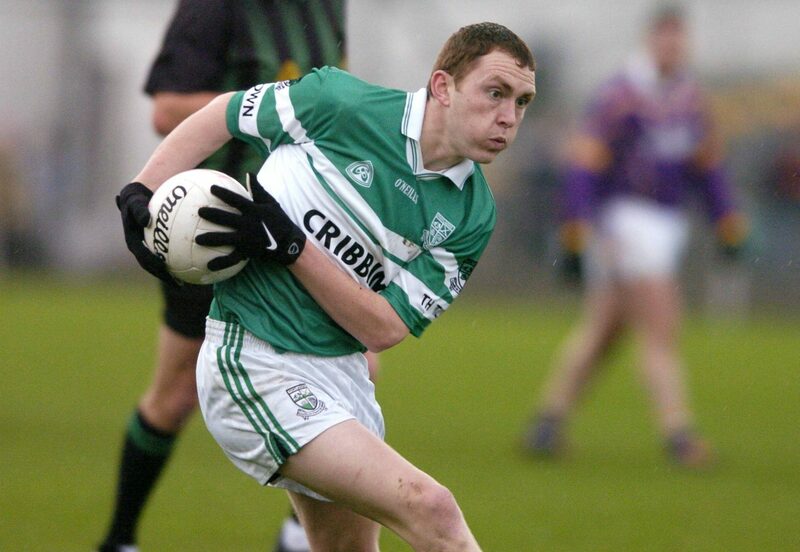 21 November 2004; Brian Mulligan, Portlaoise. AIB Leinster Senior Football Championship Semi-Final, Portlaoise v Kilmacud Crokes, Dr. Cullen Park, Portlaoise, Co. Laois. 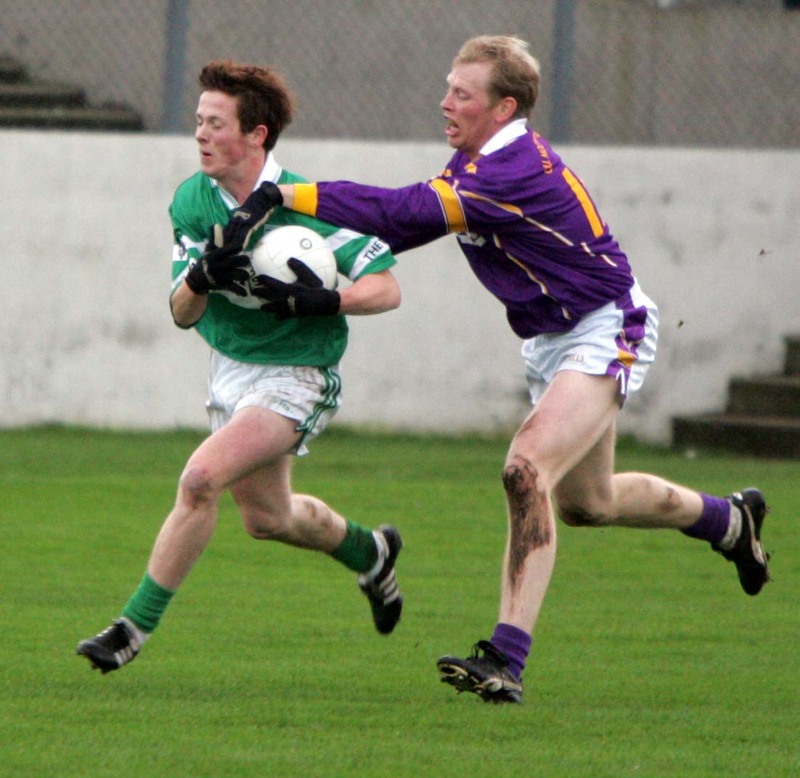 21 November 2004; Conor Murphy, Kilmacud Crokes, in action against Martin Delaney, Portlaoise. AIB Leinster Club Senior Football Championship Semi-Final, Portlaoise v Kilmacud Crokes, Dr. Cullen Park, Portlaoise, Co. Laois. 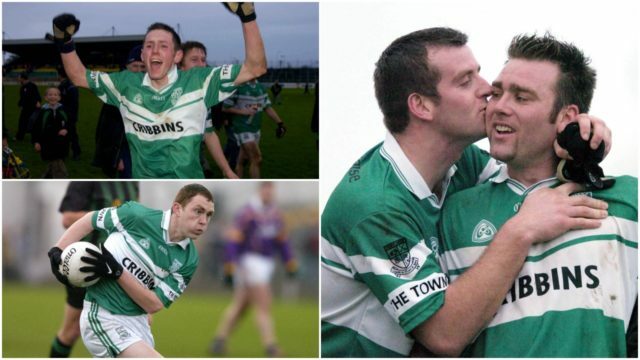 21 November 2004; Colm Byrne, left and Martin Delaney, Portlaoise, celebrate after victory over Kilmacud Crokes. AIB Leinster Club Senior Football Championship Semi-Final, Portlaoise v Kilmacud Crokes, Dr. Cullen Park, Portlaoise, Co. Laois. 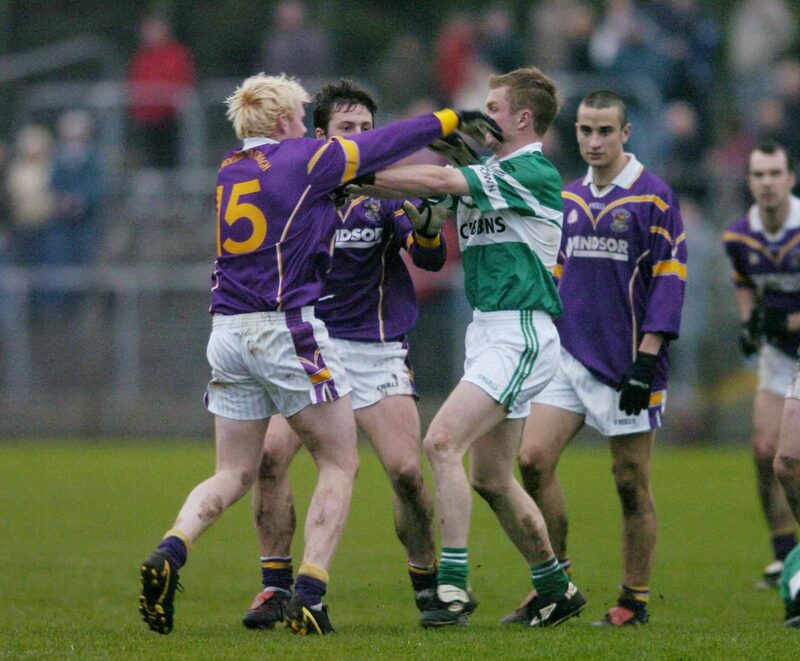 21 November 2004; Mark Vaughan, 15, Kilmacud Crokes, tussles with Tommy Fitzgerald, Portlaoise, before he was sent off by referee Michael Monahan. AIB Leinster Club Senior Football Championship Semi-Final, Portlaoise v Kilmacud Crokes, Dr. Cullen Park, Portlaoise, Co. Laois.